Lacoste Pour Femme Eau de Parfum is a cool fragrance for women which is fashionable and on-trend with a beautiful scent. Elegant, sporty and natural, like the Lacoste brand, it features top notes of Bergamot, Freesia and Pepper, middle notes of Rose, Heliotrope, Jasmine, Hibiscus and Violet and base notes of Labdanum, Suede, Incense, Cedar and Sandalwood. 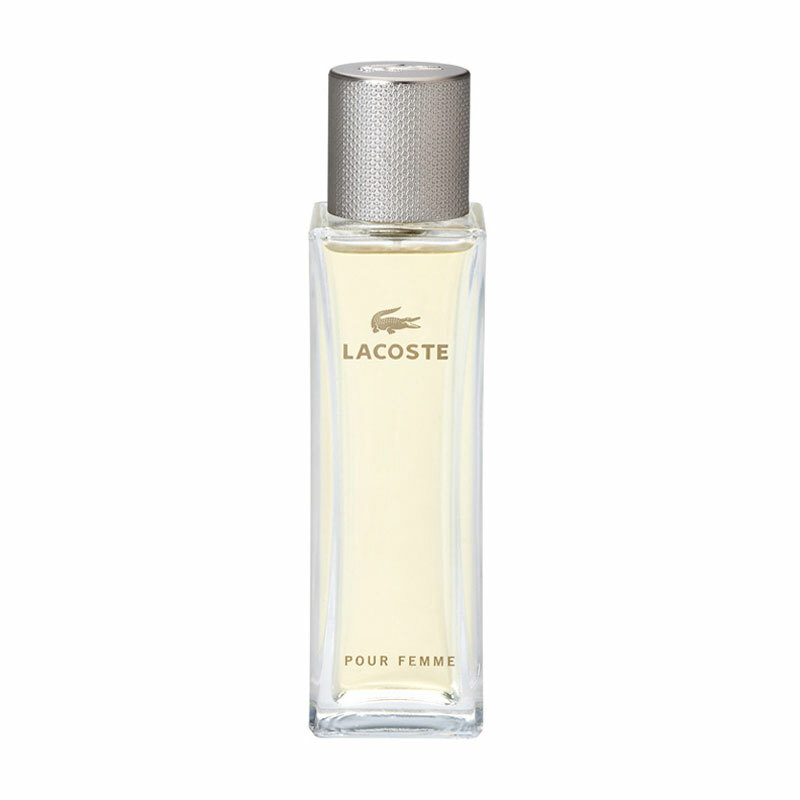 Lacoste Pour Femme is a great casual fragrance and ideal for daytime wear. With a simple and stylish glass bottle with the signature branding, Lacoste Pour Femme Eau de Parfum is a popular perfume for women with a fresh and attractive scent.